You could easily be forgiven if, at first, you just walk by the Museum Het Rembrandthuis. You might notice that it’s pretty, but so are so many houses in Amsterdam. On a less-charming street than the other small museums I’ve visited lately in Amsterdam, Rembrandt lived here and taught a handful of pupils until bankruptcy forced him out. The exterior still shouts “Golden Age” in all its glory. However, inside it was completely changed over the centuries, so, when it became a museum, it was restored to its mid-1600’s appearance. In other words, the inside is all a reconstruction. This is a good thing and a bad thing. 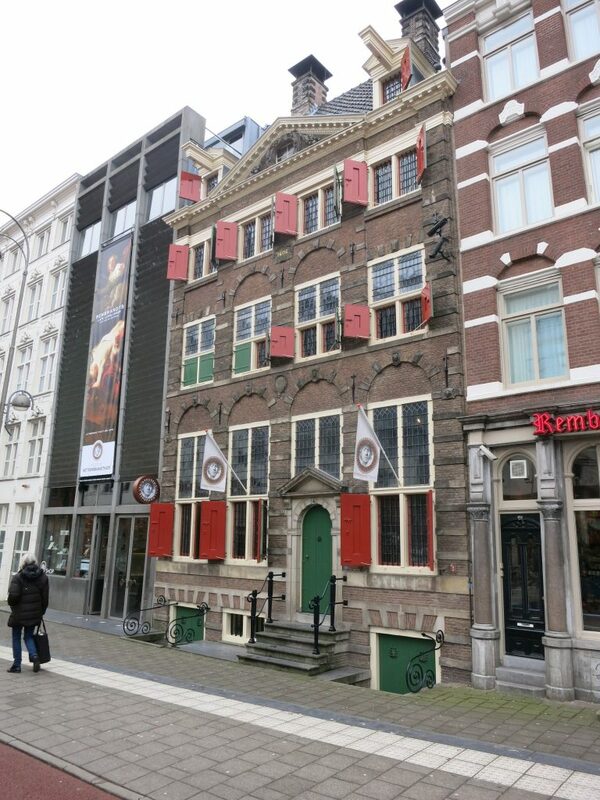 On the positive side, it gives a realistic idea of what a 17th century Amsterdam house looked like when it was new. 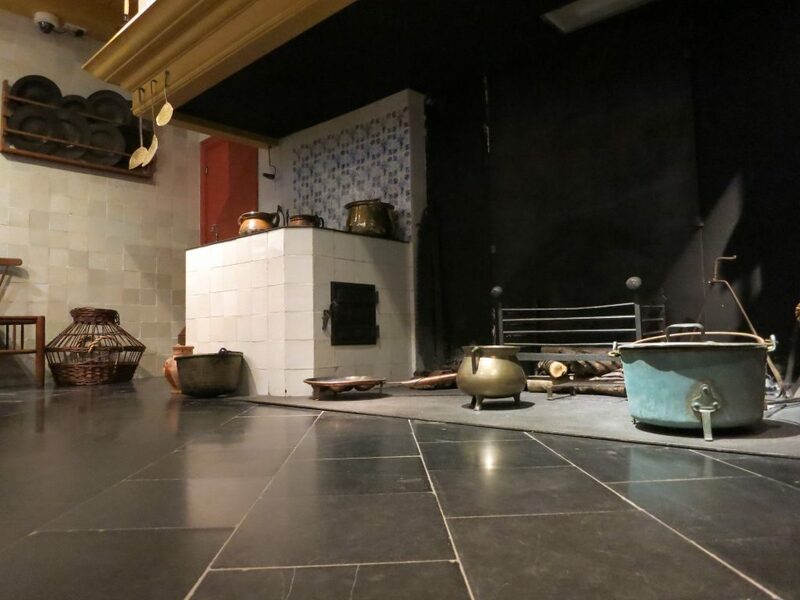 The furnishings are based on what is visible in many of the paintings and sketches by Rembrandt himself as well as by the students who passed through his studio. You can see his reception room, where he sold his paintings; the kitchen, including the bedstee where the maid slept; his bedroom; his studio; and his students’ studio. There’s a large storeroom, where he kept specimens of various sorts, as well as a working press for printing etchings. On the other hand, it’s missing something: atmosphere. When I go to see a historic house, like the Museum Van Loon, for example, I expect to see furnishings that are old. The staircase should be worn, the lighting should be poor, the tiling in the kitchen should be chipped. Such things are signs of wear, to be sure, but I like them. They help me imagine more vividly what it might have been like to live in the house in that time. I had that feeling climbing the dark stairway to Ons’ Lieve Heer op Solder, for example. The Rembrandthuis is just too clean, too new, and too well-lit. It was interesting nevertheless, especially the sight of his studio upstairs, reconstructed to match how it looked when he lived there. The museum includes a modern building next door, which allows for more exhibition space. The exhibit when I visited was called “Rembrandt’s Late Pupils: Studying under a Genius.” It’s fascinating to see his students’ work and recognize what an influence he had on them when they studied with him in his home. Some of them went on to make names for themselves: Nicolaes Maes, for example. If you are trying to get a feel for what life in the Golden Age in Amsterdam was like, this isn’t the museum for you. 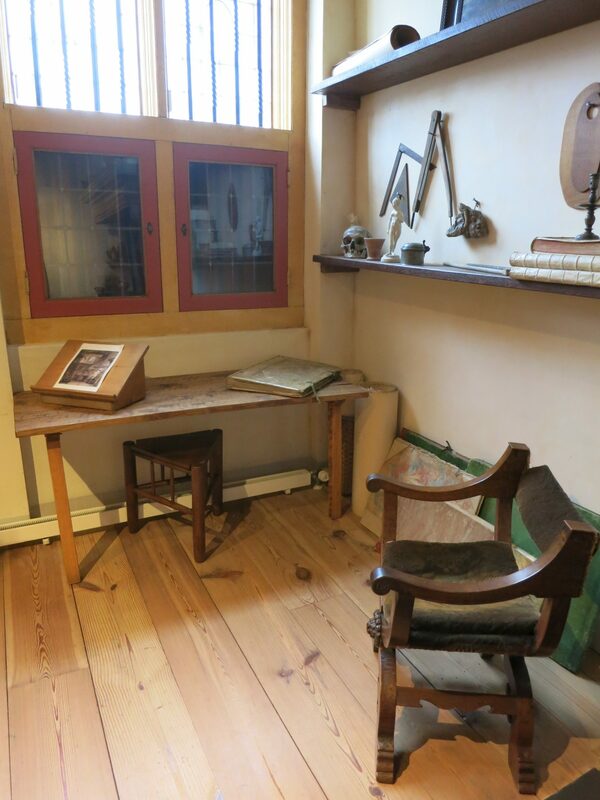 However, if you are interested in Rembrandt’s work or Golden Age painting in general, visiting this small museum will give you some insight into his life, and would be especially worth it if you are planning to visit the Rijksmuseum’s Late Rembrandt show anyway. Plan an hour or two: if you tend to skim, as I do, an hour is enough. If you tend to want to read every explanatory sign in the exhibition, or try out the press and make an etching of your own, you’ll be there longer. To buy tickets ahead of time to the Rembrandthuis, click here. (Disclosure: I’ll get a small cut of what you spend if you buy tickets through this link.) They cost about €13 or $15. 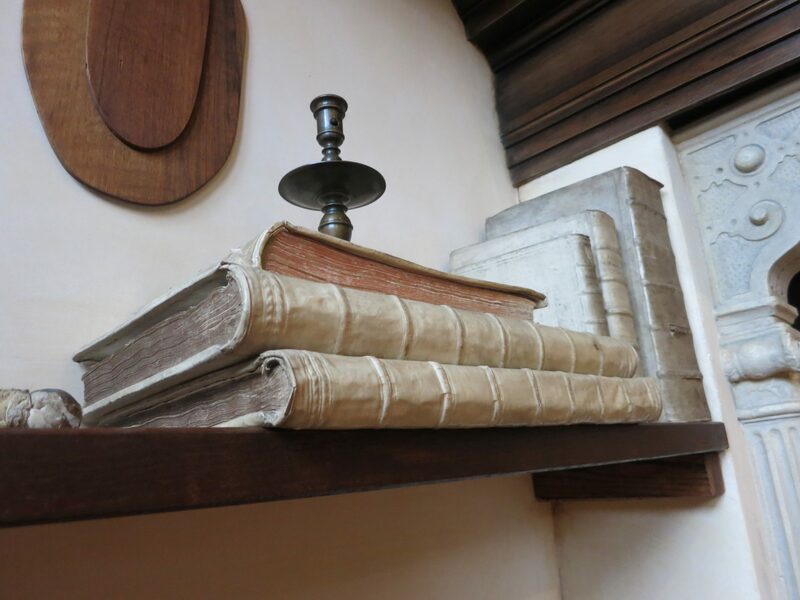 Or you can take this walking tour, which includes skip-the-line tickets to the Rembrandt house, as well as other sites that were part of his life and work. It costs €75 or $89 per person. And if you have a suggestion for which small museum I should visit next time I’m in Amsterdam, please add a comment below! I totally disagree with you but this is the beauty of Amsterdam’s small museums. There is something for everyone. To stand in the space where the Jewish bride was painted and see how paints were made. To explore the technique that Rembrandt used to make his etchings I find more educational than the Van Loon House who were slave traders. The history of the street is also fascinating. The modern architecture hides such great stories of community spirit in the 1970s, Spinoza, hidden catholic churches and more. In my opinion well worth a visit. I guess I just didn’t feel that connection to the artist because it all seemed so new. But I agree it’s worth a visit! I love the variety of small museums in Amsterdam.